Submitted photo Winnie, approximately 4 or 5 years old, is a female pit bull with buff white coloring. She’s been vet-checked, vaccinated, spayed and is ready for adoption. Winnie is looking for a loving home to call her own. 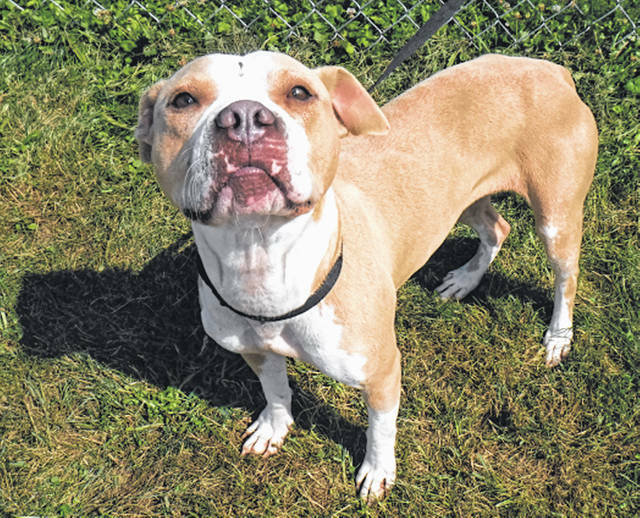 https://www.fairborndailyherald.com/wp-content/uploads/sites/50/2018/08/web1_winnie.jpgSubmitted photo Winnie, approximately 4 or 5 years old, is a female pit bull with buff white coloring. She’s been vet-checked, vaccinated, spayed and is ready for adoption. Winnie is looking for a loving home to call her own.